How do you make braille playing cards? Making braille playing cards is now easy with MPC using our revolutionary online cards maker. 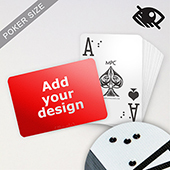 Whether you know someone who is blind, partially blind or has low vision or you want to create your own brand of braille playing cards for selling, you can do that right here with a few clicks of a button. 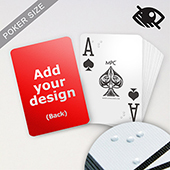 Our braille playing cards comes in a choice of quality card stock material including smooth or linen finish, the same type of material as used for professional playing cards. 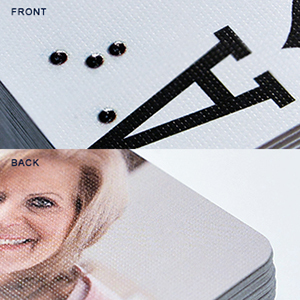 We also have 2 different methods to create your braille deck of cards using a traditional embossing method which carries a minimum but using our new found method through state of the art digital 3D printing, we can offer custom braille playing cards printing with no minimum order quantity required. 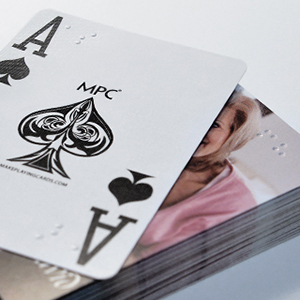 This new production method using 3D printing technology to apply the braille dot effects onto the corners of the cards and produces a heavily embossed touch so that the cards can be easily identified by people who are blind, making game play much more enjoyable. Our traditional braille embossing method also creates well defined dots and is also a cheaper method. 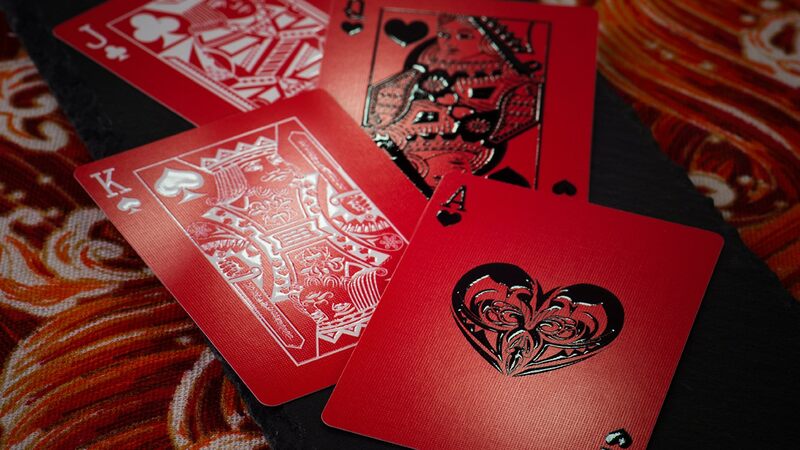 We ship worldwide so create your decks online and we can have them shipped to you wherever. 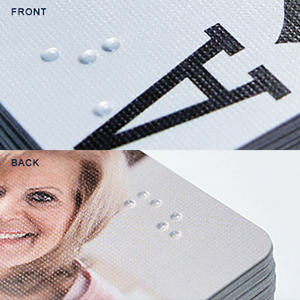 The video here shows you a sample of our 2 types of braille playing cards.